Before I start with this post I first want to welcome a new sponsor: PHD Virtual. So let’s start with the installation. 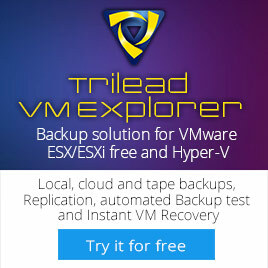 Exit the vSphere client on the PC or Server you want to install the PHD Virtual Backup Console and Plug-in. Now install the phdvb.msi. 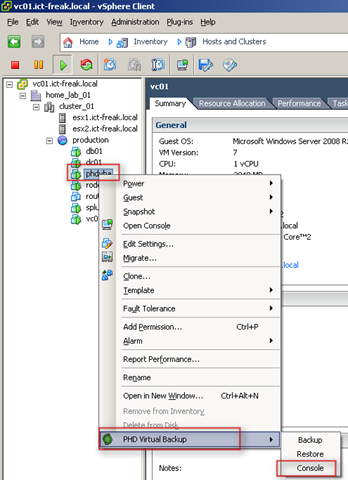 When the setup is finished, you can start the vSphere client again and logon to your vCenter Server. After the vSphere client is started, It’s time to deploy the OVF template. 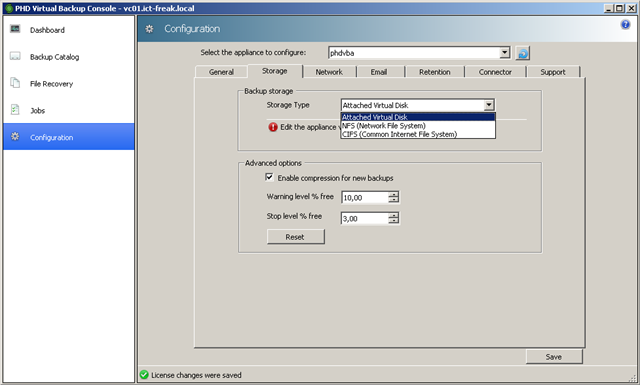 From the vSphere client you open File –> Deploy OVF Template…. Browse to the download directory where you saved the PHD files and select the OVF template. 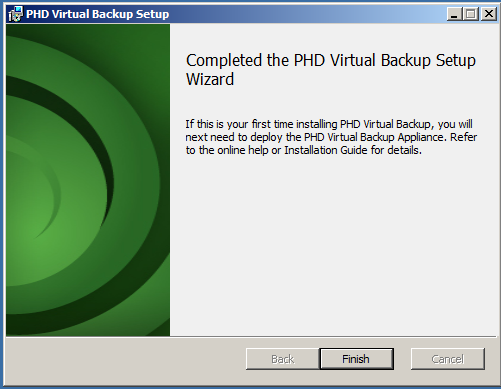 Follow the wizard and deploy the PHD Virtual Backup Appliance. 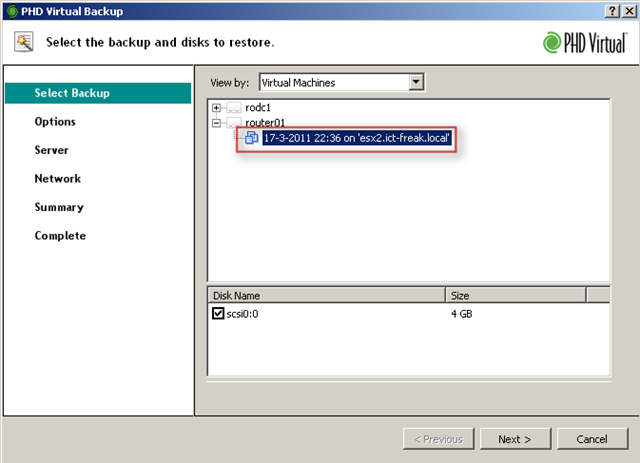 When the deployment is finished successfully, it’s time to poweron the VM and to configure the Backup Appliance. 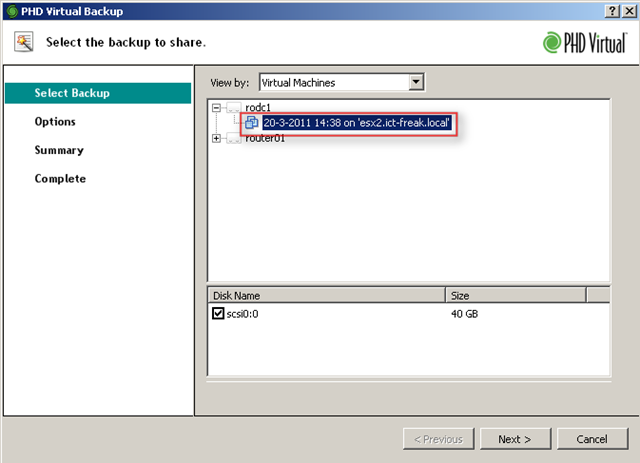 From the vSphere client, you can start the PHD Virtual Backup Console via right click on the phdvba VM or any other object from the vSphere client –> PHD Virtual Backup –> Console. I will show you some of the settings. I’ll start with the general settings. You can configure the time zone, region and NTP servers. 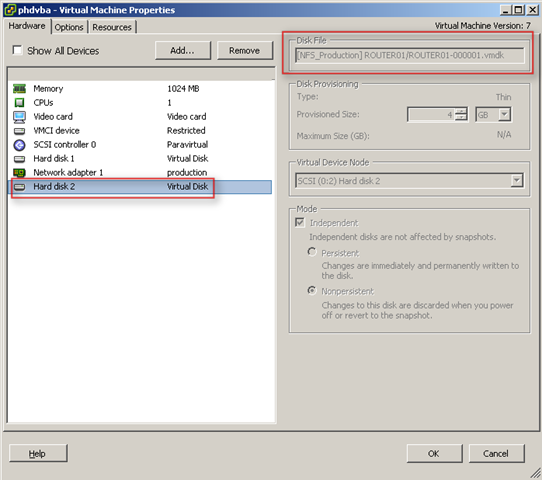 You can also configure the Hypervisor credentials. This can be a single vSphere host or a vCenter server instance. The last setting in the general section is the license key. You can upload you license file here. In my setup I choose the NFS share to start with. This is a NFS share on a Linux box. The attached Virtual Disk speaks for itself so I describe only the two other options. In both cases, you have to restart the appliance to apply the new settings. When the restart of the appliance is finished you’re ready to start creating backup jobs. Go to Jobs –> Backup to create a new backup job. 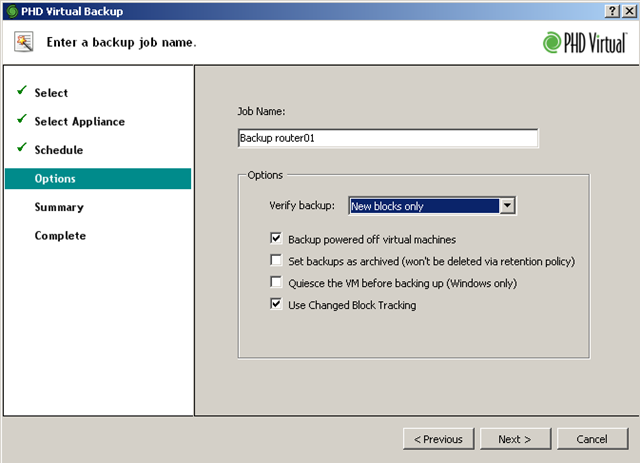 Select the Options you want to use in your Backup job. Now we have to wait until the Backup Job is finished. 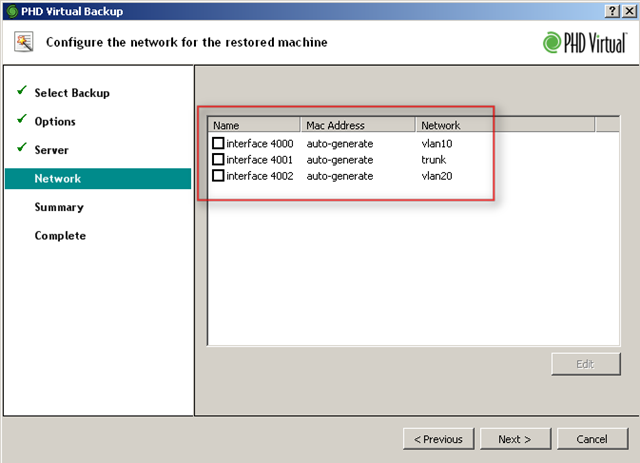 Select the VM you want to restore and make sure that the Disk is selected. 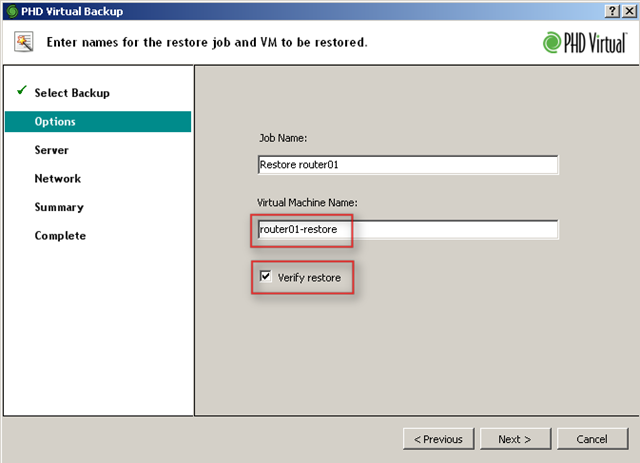 If you restore the VM while the production VM still exist, make sure you rename the Virtual Machine Name and select verify restore if you want to verify the job. 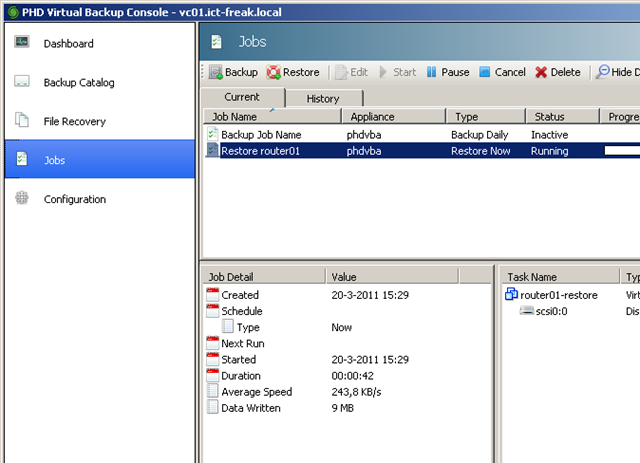 Select the destination server and if the default selected VM Storage isn’t the storage you want to use for the restore, you can click on Change VM Storage to select the right storage. In my case I selected the NFS_Lab NFS Share. Connect or disconnect the network adapters. You can change the MAC address and the Network. The Network is the portgroup name the VM needs to use. I disconnected the NIC, just to be sure. When you look at the vSphere client, you notice a lot of activity and you’ll see that the VM is created with the correct name. Now we have to wait until the job is finished. 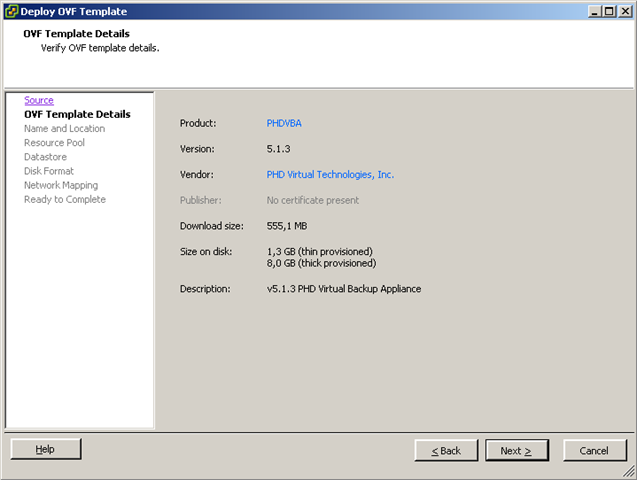 PHD uses the iSCSI protocol to mount the Backup file on a Windows or Linux VM. If you’re are running a Windows version prior to Windows 2008 or Windows 7, you have to install the iSCSI Software initiator. You can download the latest version here. You can select to add the iSCSI Target to the iSCSI initiator on this computer. 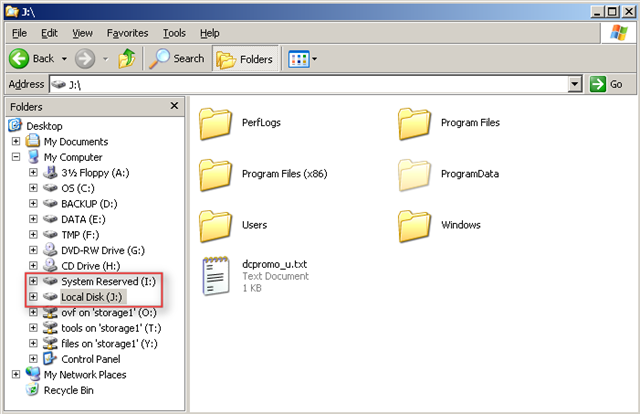 Just wait until the disks are mounted and you’re able to browse the mounted hard disks from the Windows Explorer. 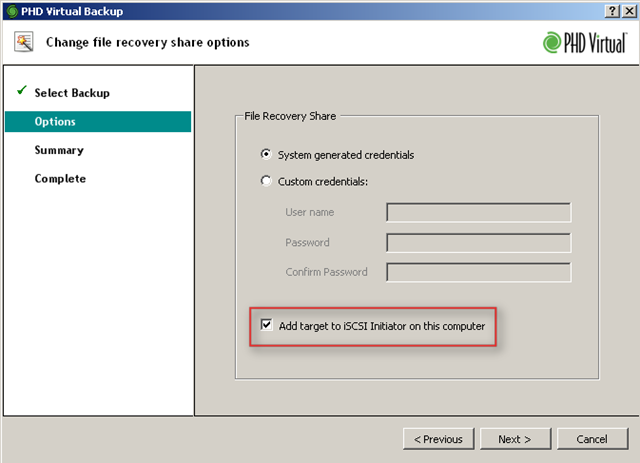 Don’t forget to Delete the iSCSI targets from the File Recovery window. You have to open the iSCSI Initiator (this can be done via the Tools button from the PHD console). Open the Targets tab and select the target you want to disconnect. Click on Details to see the rest of the settings. 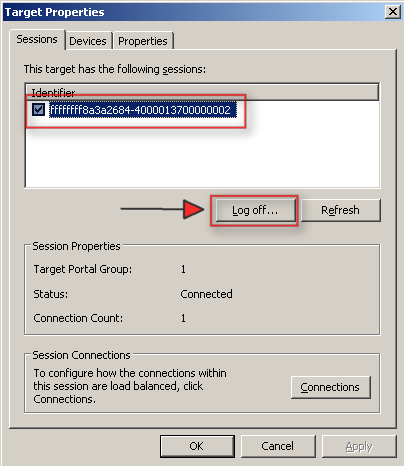 Select the Identifier and press Log of… to disconnect the target. Now you’re able to delete the File Level restore points. 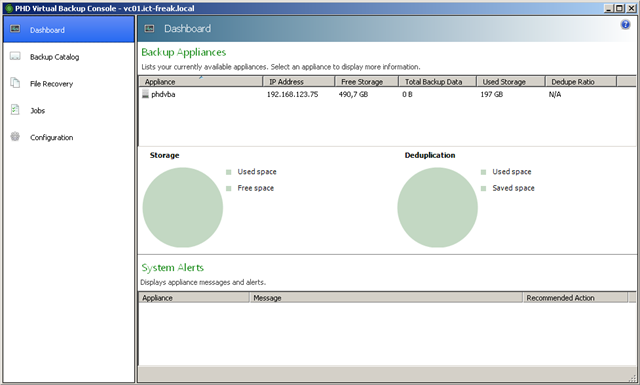 This was the first time a have worked with PHD Virtual Backup and I must say it works very easy. I love the Virtual Appliance approach. 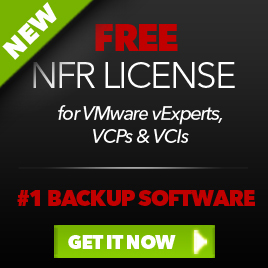 You don’t need a license for the Guest OS and you can deploy a Virtual Appliance in no time. Overall I think it’s a great product.But with some room for improvements left. The file level restore is a bit different than the way competitors perform their file level restores. Third party tools needed for File Level restore from a Linux VM. When you’re using a Windows management PC. * I work for a VEEAM Service Provider partner. 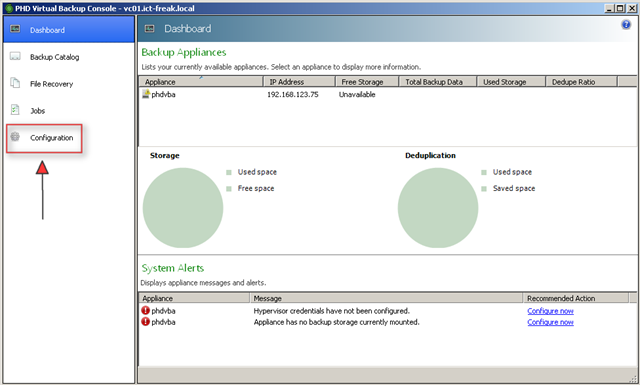 This entry was posted in Backup and tagged Backup, PHD, Review, vSphere on March 17, 2011 by afokkema. 1. What’s wrong with the FLR option? Sure, it’s different than others, but does it work well? 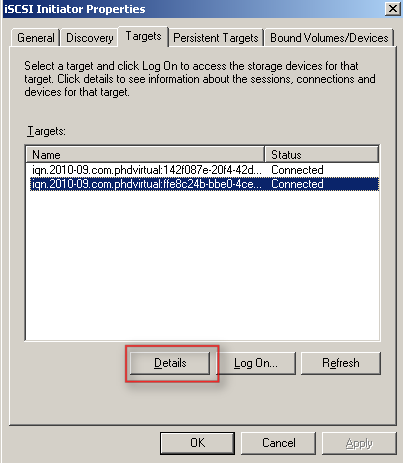 All you have to do is point your VM at an iSCSI target and grab the files you want? 2. Yes, but only if using a windows machine to restore the file to… When restoring directly to the Linux machine it only requires the installation & config of an iSCSI software initiator. 3. 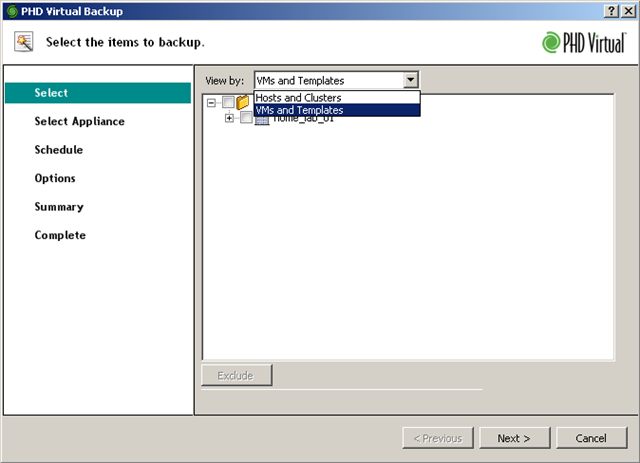 If you read the User Guide, you’ll see that backups are verified as they are written to the backup destination…? I agree though, that some sort of “instant recovery” would be good. 4. Indeed, a missing point that should be resolved. 5. You missed the fact that it currently can’t use iSCSI storage to backup to (unless you have mounted that in VMware as a datastore first). I’d be surprised if this isn’t being worked on. 1. It did work well in my home lab but this scenario doesn’t work at my employers environment with lots of different vlans for backup etc. So this is why I put it to the cons list. 2. I didn’t have the time to test a restore directly to a Linux VM. But I think it should work indeed. 5. I hope PHD will add this in the next version too. I think it’s a great solution for the small to medium size vSphere shops.